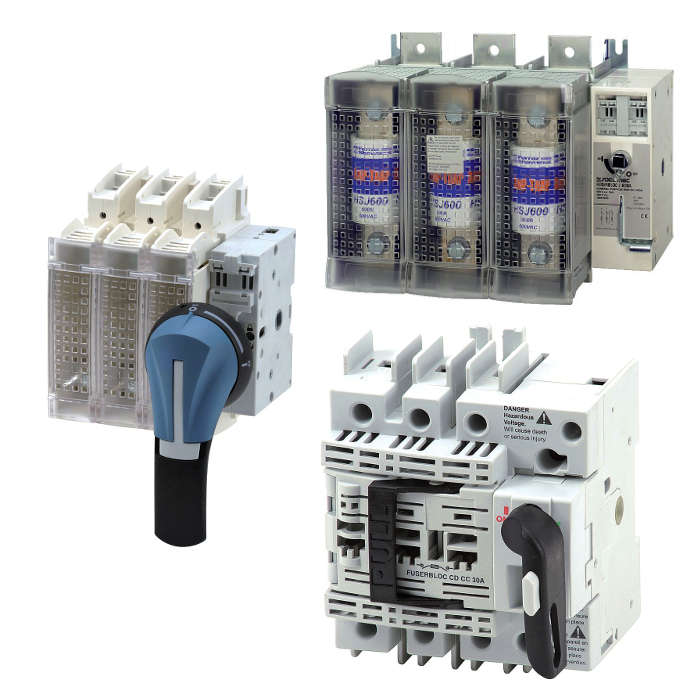 FUSERBLOC fusible disconnect switches are heavy duty switches that break and make power circuits on and off load. The switches employ double break contacts per pole that ensure complete isolation of the fuse when the switch is in the “OFF” position. These switches are extremely durable and are tested and approved for use in the most demanding applications.